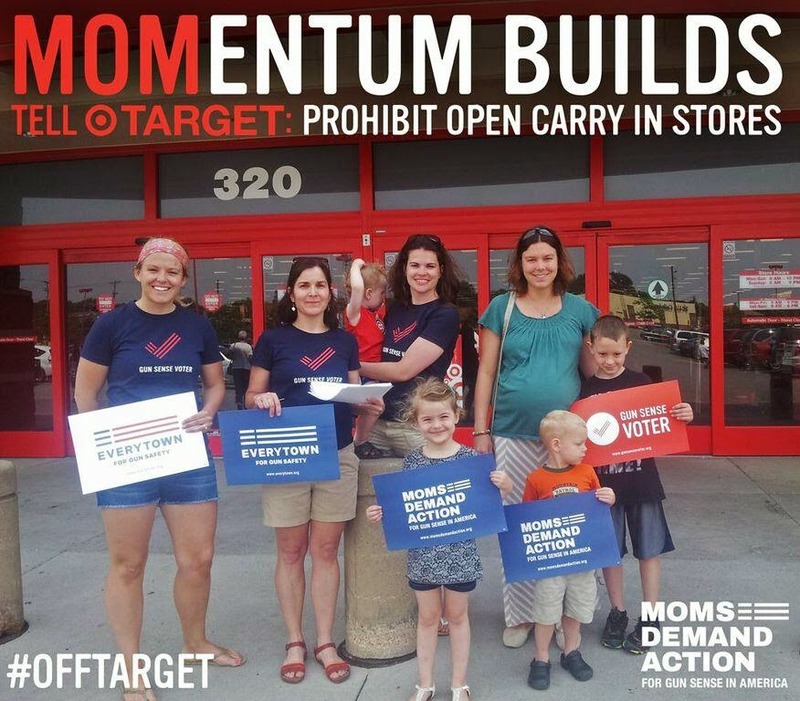 Everytown Moms for Illegal Mayors decided to hold a little protest at a San Antonio, Texas Target store. Jamie Addams, the San Antonio regional ambassador for the gun control group, said "they were armed with clipboards and children" but were still asked to leave. Armed with children? Isn't that what warlords in sub-Saharan Africa have been accused of doing with their child soldiers? Hasn't this become an issue for UNICEF? Rebels in Mozambique started the use of children in the early 1980s. As the New York Times notes in a story about child soldiers, they are the perfect weapon. Children are "easily manipulated, intensely loyal, fearless and, most important, in endless supply." Could that be the reason Everytown Moms uses children as "arms"? The real story here isn't that the Target store manager told the Everytown Moms to move along which was nice. Rather it is the comments of the Everytown Mom's "regional ambassador" regarding the organization's use of children as tools in their war on civil rights. Children should not be used as tools or props or weapons. UPDATE: The picture below is from an Everytown Moms for Illegal Mayors protest outside a Target store in Pennsylvania. I count four "child warriors" in the picture with (what appears to be) a fifth on the way. Tell me that any of those kids is old enough to articulately explain why they are there and why they are protesting Target's policy of abiding by local laws. While the Catholic Church may consider the "age of reason" to be 6 or 7, I doubt you could extrapolate that to protesting for gun control. If I had to guess, the woman who is standing second from left is the leader of this little group. I wonder if she is being paid with Bloomberg money. Does anyone know who she is? Blogger and writer Marko Kloos (pronounced "close") has two of his books featured as part of Amazon's Kindle Daily Deals. They are Terms of Enlistment and Lines of Departure. The books are part of his Frontline series. They are $1.99 today. You can see them here. I will admit that I'm not the biggest fan of sci-fi fiction preferring to read history and period mysteries. That said, I enjoyed reading both of these books and would highly recommend them. They feature a dystopian world where the North American Commonwealth has had to colonize space due to over-population and pollution on Earth. If the name Marko Kloos doesn't ring a bell, perhaps you might recognize the mythical "Major L. Caudill, USMC (Ret)" who penned the essay "Why The Gun Is Civilization". They are one and the same. The essay itself has over 200,000 hits on Google. It even has a well-done dramatic reading on YouTube. 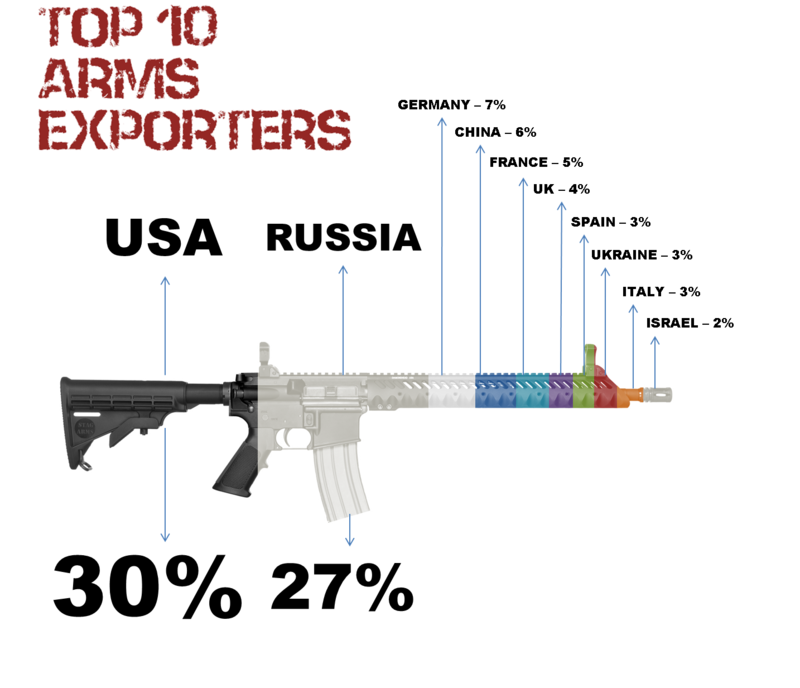 According to the Defence IQ Press, the United States is still the number one exporter of military arms. As much as things change, they still stay the same. US versus Soviet Union; US versus Russia. Cold War; post-Cold War. Business is business and money is to be made. Not that there is anything wrong with that. A couple of weeks ago, the North Carolina General Assembly voted unanimously to overturn Durham County's gun registration requirement. It was the only county in the state to have this requirement and it had been in place long before state preemption. I missed it when it came out. Fortunately, Mississippi Rebel did not. You can read his post on the overturning of this Jim Crow-era law here. If you don't think the .380 Auto aka 9mm Browning isn't a powerful round, show me another pistol cartridge that was used to start a world war. For it was with a FN Model 1910 chambered in .380 Auto (or 9mm Browning to be more precise) that Gavrilo Princip assassinated Archduke Franz Ferdinand of Austria and his wife Sophie, Duchess of Hohenberg 100 years ago today in Sarajevo. Princip did it in the name of Yugoslav nationalism. He was a Bosnian Serb. As a result of the assassination, the Austro-Hungarian Empire declared war on Serbia a month to the day after the Archduke was assassinated. A few days later Germany which had declared support for Austria then declared war on Russia and the rush to war spiraled out of control. Barbara Tuchman describes this spiraling out of control in her book The Guns of August . Princip's FN Model 1910 is now a part of the permanent display at the Museum of Military History in Vienna, Austria. How it got there is a story unto itself. So while the cartridge debate rages on as to which cartridge has enough power, none save the .380 Auto can say they helped start a war, let alone the War to End All Wars. Thom Tillis, Speaker of the North Carolina House and GOP nominee for Senate, ought to extend a personal invitation to Gabby Giffords and her space cowboy husband to come visit North Carolina to push their gun control agenda. The invitation would expire at midnight on Monday, November 3rd. So why in the world should a NRA A-rated Republican want a couple of out-of-state gun banners trying to spread their gospel in the Tar Heel State? Because of who doesn't want them here: Senator Kay Hagan (D-NC). It seems that Hagan and some other Democrats in pro-gun states don't want the voters thinking about gun rights. I'm guessing that Sen. Hagan doesn't want voters reminded that she voted for the gun controls contained in Manchin-Toomey which had the support of Giffords and her Americans for Responsible Solutions. The Hagan-Tillis race is one of the seven Senate races that Americans for Responsible Solutions intends to be involved with according to their website. Among the mega-donors to the Giffords-Kelly group is none other than former Mayor Michael Bloomberg who made a donation of $250,000 to the group in 2013. If the race gets close towards the end, I wonder if Bloomberg will kick in the big bucks like he has for Sen. Thad Cochran (R-MS) who faces a run-off in the Mississippi GOP primary today with St. Sen. Chris McDaniel. The list of ridiculous bills that the New Jersey Legislature has passed and that Gov. Chris Christie (R-NJ) needs to veto has grown again. In addition to the magazine ban bill this is sitting on his desk, there is now a bill that totally bans ivory or "ivory products". This ban extends to 10,000 year old ivory from mammoth tusks. Ivory products are more than carved elephant tusks. They would include things like the keys on older Steinway concert pianos, 150-year old whale scrimshaw, slabs and handles from knives, old billiard balls, and the grips on George Patton's revolvers. Banning the transfer of ivory or ivory products at the state level does nothing to stop elephant poaching in Africa. Knife Rights has issued a strongly worded alert on this bill. Reading through the bill myself, I agree that it is all encompassing and permits no real exceptions. It is a bill that ought to be vetoed. In a move that caught just about everyone by surprise, last week the New Jersey legislature quietly passed S.2012/A.3128, a draconian total ivory ban bill with no exemptions for existing legal ivory and that even bans 10,000-year-old mammoth ivory. This poorly drafted bill even opens the door to outright confiscation of ivory-handled knives and arrest of knife owners! Knife Rights unequivocally supports legitimate efforts to stop the illegal slaughter of elephants in Africa , but this bill will not save a single elephant . Unfortunately, instead of going after poachers, smugglers and traders of illicit ivory, the New Jersey legislature has decided to launch an all-out attack on innocent New Jerseyans by passing an absurd TOTAL Ivory Ban that will not save a single living elephant . Knife Rights has asked Gov. Christie to veto this irrational and very destructive bill. If you are a New Jersey resident or do business in New Jersey, WRITE or CALL the Governor TODAY and ask him to VETO S.2012/A.3128. The NJ Ivory Ban Bill outlaws ALL ivory from ANY ANIMAL (elephant, hippo, mammoth, narwhal, walrus, whale, etc.). It makes it illegal to to import, sell, offer for sale, purchase, barter or possess with intent to sell (a intentionally vague term of law subject to abusive interpretation that could lead to knife confiscations and arrests) any ivory or ivory product with no exceptions for antique or heretofore legal ivory imported decades ago prior to the existing 24-year-old U.S. ban on ivory imports. This ban would irreparably harm owners of ivory-handled and fossil ivory-handled knives, antiques, musical instruments and any items containing ivory legally imported into this country decades ago by stripping their value - a taking of millions of dollars from law-abiding New Jerseyans. The ban would criminalize legitimate business owners and cause immediate ruinous financial loss for them. It will cost the state millions of dollars in tax revenue and not save a single living elephant! This bill will not save a single elephant because study after study have shown no connection between the legal ivory market in decades-old ivory in the U.S. and poaching in Africa. International and U.S. studies document that virtually all the ivory poached in Africa goes to China where it is valued at 6 times the price of decades-old legal ivory in the U.S. Moreover, it is already a federal crime to import ivory into the U.S. and a crime to possess or sell illegally imported ivory. This outrageous and draconian bill also represents an unconstitutional "taking" of protected private property, violating both the Fifth Amendment to the U.S. Constitution and Article 1, #1 and #20 of the N.J. Constitution. While lawsuits challenging this law, if signed, wend their way though the courts, untold hundreds or thousands of ivory owners will be arrested and prosecuted under this absurd law. NOTHING IN THIS ABSURD BILL WILL SAVE A SINGLE ELEPHANT! This is "feel good - do bad" legislation at its worst! New Jersey residents and all who do business in New Jersey should WRITE or CALL the Governor TODAY and ask him to VETO S.2012/A.3128. When you call or write, all you need to do is ask the Governor to VETO S.2012/A.3128, the ivory Ban Bill. If you'd like to write more, click here for Knife Rights' NJ Ivory Ban Model Letter to Gov. Christie. A Tweet by Iowahawk included a link to this 2009 Tweet from Sonasoft. They are the company whose software is used by the Internal Revenue Service to back up emails on the IRS network. Sonasoft's slogan is "email archiving done right". I guess by right they mean according to the transparency standards of the Obama Administration. Either that or the software did properly back up Lois Lerner and her cohorts' emails and someone is lying about not being able to locate them. If I were the CEO of Sonasoft, I'd be pushing the last explanation. World War II era military planes are not exactly plentiful anymore. Some are exceedingly rate. For example, while there are a handful of B-29s in museums, Fifi is the only airworthy B-29 still in existence. Out of 17,000 T-6 Texan trainers built, there are an estimated 350 still in airworthy condition with a handful undergoing restoration. The going price for one ranges from the low $100,00s to over $300,000. Given that, it is hard to understand what the Defense Logistics Agency did to one located in Japan. It had been lent to the Japanese Self Defense Forces for training and then had been a display piece until 1998. When the JSDF returned the T-6 Texan to US control, this is what the Defense Logistics Agency did to the plane. The DLA is now advertising that the scrap metal is now available for sale. They seem rather proud of their actions as they published an article detailing the destruction in their news center. A T-6 Texan had an empty weight of about 4,100 lbs. Let's assume that they got a very generous 50 cents per pound. That would come to around $2,050. Conversely, let's assume that they sold the plane to a collector for restoration. Doesn't it seem reasonable that some collector would pay many times that to get a decent specimen with what looks to be a good body and airframe? Talladega, Alabama is famous for its Talladega Superspeedway. This NASCAR speedway has the steepest banks and the highest speeds of any stock car racetrack in America. 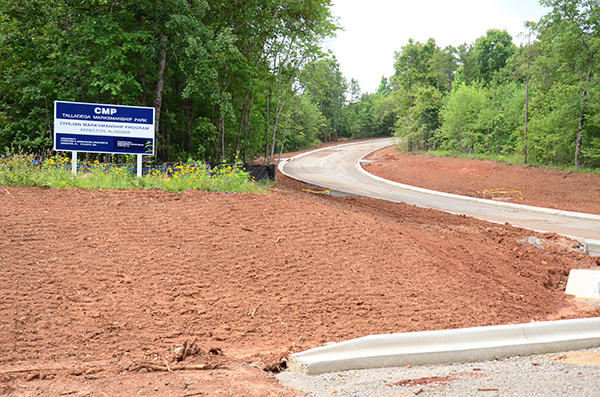 Soon, Talladega will be known for something else: the CMP Talladega Marksmanship Park. Photo courtesy of the CMP. Phase I of the construction of this shooting facility is now 95% done. According to a post by the CMP, they have moved almost all of the 600,000 yards of dirt needed to prepare the construction site. Phase II is also underway with some building foundations being poured and the entrance drive roadbed prepared. The facility is scheduled to open in the Spring of 2015. It will feature a 200/300/600 yard rifle range, a 100 yard rifle range, two pistol ranges, a number of action pistol bays, a 15 station sporting clays range, and a trap range. The CMP intends for the Marksmanship Park to be the site of a number of their clinics, classes, and matches as well as other shooting events. It will be open to the public. The layout of the completed facility is shown below. The Civilian Marksmanship Program is selling granite pavers ranging in price from $40 for juniors to $250 for a double size paver to help defray the cost of the facility. Donations for pavers are tax deductible. You can find more info on those here. I can see some long weekends in Alabama in my future. I really do need to rejoin a CMP affiliated club so as to be eligible to purchase another Garand or one of the other rifles that they have available. Florida Carry has been doing yeoman's work down in the State of Florida on the issue of carry - both open and concealed. They are currently supporting a case, Norman v. State, which is an appeal from a county court's ruling that Dale Norman, a legal and licensed concealed carry permit holder, violated that Florida's open carry ban when his pistol showed under his concealment garment. The appeal has been accepted by the Florida 4th Circuit Court of Appeals as a constitutional challenge. However, it seems that certain anti-gun elements within the Florida Attorney General's Office are trying to scuttle that challenge from being heard. Florida Carry notes that Florida AG Pam Bondi has generally been very pro-gun and is not behind this move. They also note that certain local State Attorneys (Angela Corey comes to mind) are vigorously prosecuting open carry cases. Florida Assistant Attorney Generals and Local State Prosecutors are out of control in fighting against the Second Amendment. Once again the anti-gun elements in the Florida Attorney General's office are attempting to scuttle the appeal in the case of Norman v. State. The Norman case is the only viable case in the country arguing for recognition of the constitutional right to open carry. Since the appeal was first brought, the West Palm Beach Office of the Attorney General has repeatedly attempted to derail the case based on procedural arguments that the lower court did not properly certify its questions of great public importance. The AG's office even appealed the case to the Florida Supreme Court in an attempt to keep the Fourth District Court of Appeals from hearing the case. They want the case heard by a Circuit Court where a recognition of the right to carry will not have state-wide effect and will be decided by only one local judge. A request was sent to the Assistant Attorney General in Palm Beach asking them to consent to the lower Court amending its judgement to include the certified question in the order of Judgement and Sentence to correct the AG's claimed procedural defect that may exist. If the AG's office wanted to take a pro-Second Amendment position and was truly trying to correct an alleged procedural error by the lower court it, would have consented. Instead, they punted. To quote George Carlin, "It's all BS, and it's bad for you." No credible organization could question the pro-gun record of Florida Attorney General Pamela Bondi who has signed on to support many important federal amicus briefs to the U.S. Supreme Court that were filed by other state's AGs, but her own office is apparently in need some deep house cleaning. The ruling and intent of the lower court is clear, that this case be reviewed by a panel of appellate court judges as a matter of great public importance that impacts thousands of law enforcement officers and millions of gun owners. The Attorney General needs to get her anti-gun and anti-self-defense underlings in line if she wants the support of gun owners in the coming election. Florida concealed carry licensees and others who lawfully possess firearms are being arrested and prosecuted at an alarming rate. The problem is not only with the Attorney General's office. In two cases that we are involved with, State Attorney Angela Corey's office is wrongfully prosecuting lawful gun owners. In the first case, a man was arrested on his own front porch for having a handgun in a closed bag... While finishing moving. Corey's office claims that it was no longer his home, since he was moving, and is prosecuting him for a felony. In the second, a CWFL licensee has been sentenced to 60 days in jail for an open carry ban violation after his shirt rode up over his holster in a store exposing his firearm. It is time to contact Attorney General Bondi's office and politely let her know we trust and support her, but she needs to show her commitment to the Second Amendment by cleaning up the anti-gun elements in her office, including the West Palm office. For Angela Corey's part. It's time for her to find a new job. The Firearms History, Technology & Development Blog has been running a series on the various types of magazines ranging from tubular magazines to pan magazines. Most of us are familiar with the box magazine but few of us would know that a Krag-Jorgensen rifle's magazine is termed a "capsule magazine." The whole series is well worth a read especially if you are interested in the development of firearms technology over time. I spent yesterday in Murphy, North Carolina on business. Murphy is famous as the second half of a familiar North Carolina phrase, "from Manteo to Murphy", used to describe the width of the state. That distance, by the way, is 474 miles as the crow flies or 545 miles by road. I was driving to my first appointment of the day when I came around a curve on US Hwy 64 and saw this huge billboard. I didn't have time to stop then but circled back after the appointment to take a picture. The store's slogan is "Refills or reloads, we have you covered". If I lived in McCaysville or nearby in the tri-state area, I think I might rather deal with them than a CVS or Walgreens. I just saw a press release this morning about fellow gun blogger Kevin Creighton. He blogs at Misfires and Light Strikes. He is now the new marketing manager for Osage County Guns in Belle, MO. He says he'll be hanging up his blog and taking over the blog at Osage County Guns. Belle, Mo - Osage County Guns is pleased to announce the hiring of Kevin Creighton as their new Marketing Manager. In addition to his long history of success in online marketing for companies such as IBM Direct and Hawaii.com, Kevin is also a well-known gunblogger and is an active competitor in both practical pistol and 3 gun. Kevin joins Osage County Guns as Marketing Manager to expand their online presence and continue their tradition of first-class customer service. "Osage County Guns is known for how well they treat their customers, and I'm looking forward to continuing that tradition of service by developing their website into the premiere source of information on safe and responsible gun ownership." John Dawson, Vice President said "Customer satisfaction is always our goal at Osage County Guns, and Kevin's wealth of experience and industry knowledge makes him a key addition to our team. We're excited to add someone like Kevin who is both a part of the vibrant firearms community on the Internet and also has had a long and successful career in online marketing. Our priority has always been to provide an online experience that meets and exceeds the needs of today's gun owner and we see his addition as an essential part of our future growth." 3. (formerly) a member of a political group in Russia aiming at the demoralization of the government by terror. 4. an agent or partisan of the revolutionary tribunal during the Reign of Terror in France. 5. of, pertaining to, or characteristic of terrorism or terrorists: terrorist tactics. Former First Lady, Senator, Secretary of State, and now wannabe Evita* Hillary Clinton participated in a town hall meeting sponsored by CNN on Monday. During that event, she was asked a question regarding gun control. She said she was in favor of re-instituting the ban on "assault weapons"(sic) as well as a magazine ban. Mrs. Clinton then accused those of us who still believe in the Bill of Rights of not only being a minority but, in so many words, terrorists. Clinton said that while she’s “well-aware that this is a hot political subject,” she thinks there should be “a more thoughtful conversation” on gun control. “We cannot let a minority of people — and that’s what it is, it is a minority of people — hold a viewpoint that terrorizes a majority of people,” she said. I don't consider myself a terrorist nor do I think you do either. Moreover, I don't believe the majority of people in the United States are for gun control or any of the other measures that Clinton would like to see enacted. As my friend Kurt has said more than once, to be despised by the despicable is an honor. * Eva Peron aka Evita only achieved power in Argentina on the back of her husband Col. Juan Peron. Likewise, Hillary's claim to power seems to be that she married - and stayed with him despite his philandering ways - President Bill Clinton. As such, she is the American Evita who now aspires (again) to the Presidency. The comment of the day comes from an editorial in Investor's Business Daily. The subject of the editorial was the supposedly lost emails from former IRS official Lois Lerner. She is the IRS official who "took the Fifth" before the House Oversight and Government Reform Committee with regard to her actions against Tea Party groups. Lerner has also been charged with contempt of Congress but the prosecution of that charge would have to come from the Department of Justice run by Eric Holder. As in Watergate, more than a few individuals warrant prosecution and incarceration. But that would have to come from Eric Holder's Justice Department, an organization shown to be as corrupt as the IRS. Watergate's John Mitchell was the first attorney general to be convicted and imprisoned due to illegal activities. We suggest that he shouldn't be the last. I quite agree. I can think of many reasons that Attorney General Eric Holder should be tried but first and foremost among them would have to be Operation Fast and Furious. Unlike Watergate, two Federal law enforcement officers and over 300 Mexican nationals have been murdered as a result of those guns walked by ATF agents. The attorneys for the plaintiffs in Doe v. Harris have filed for a preliminary injunction to prevent the California Department of Justice from enforcing its new policy regarding multiple modern handgun purchases by Curios & Relics FFL holders. This lawsuit is being backed by the CalGuns Foundation and the California Association of Federal Firearms Licensees (CAL-FFL). The motion for the injunction looks at both the legislative and administrative history of California Penal Code Sec. 27535. This law prevents most Californians from purchasing more than one handgun within a 30-day period of time. However, there were a number of exemptions to this restriction written into the law. Included in the exemption are those people who hold both a Curios and Relics FFL and who hold a California DOJ issued Certificate of Eligibility. The legislative and administrative history makes clear that the exemption provided for this class of people extends beyond the purchase of C&R handguns to all handguns including modern handguns. On May 8th of this year, the longstanding policy was changed when the DOJ Bureau of Firearms sent a letter to all FFLs in California stating that the exemption for C&R FFL holders only applied to handguns deemed curios or relics under Federal law. This change is alleged to be in violation of the California Administrative Procedures Act as no notices nor hearings were held before the change was implemented. The declarations in support of the motion are interesting reading. This is especially true of the one submitted by Dr. Ken Lunde as it includes emails back and forth in 2005 concerning the interpretation of the law with regard to the exemption. Of particular note is the attached Exhibit 3 which is an email from Deputy AG Alison Merrilees noting that it was the Bureau of Firearms long-standing policy to exempt "all firearms purchases by C&R licensees from the provisions of 12072(a)(9)(A) [the "one gun a month" limit] , even if the firearms are not curios and relics." This exhibit proves the importance of keeping all emails so as to provide a paper trail when dealing with bureaucrats and firearms. The hearing on the motion has been set for July 8th. (Sacramento, CA – June 11, 2014) – Two California gun owners, Paul Gladden and “Alvin Doe”, have filed for an injunction against defendants Attorney General Kamala Harris and Department of Justice Bureau of Firearms chief Stephen Lindley seeking to prevent them from enforcing a policy that denies the sale of handguns to licensed and background-checked Californians. Gene Hoffman, chairman of CGF, explained that “the law is clear and unambiguous: properly-licensed and background checked Californians like Paul Gladden are entitled to purchase as many handguns as they like within any 30-day period.” “Ms. 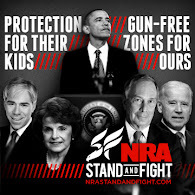 Harris is improperly substituting her own anti-gun rights policy preferences for black-letter law,” he went on to note. The Second Amendment Foundation in conjunction with Commonwealth Second Amendment filed suit today against Massachusetts Attorney General Martha Coakley. The suit was filed in US District Court for the District of Massachusetts. The suit challenges Coakley enforcement of consumer protection laws that prevent the sale of some handguns. The law in question requires a "load indicator" on handguns which is rather vague. For example, 3rd and 4th generation Glocks are banned but other handguns with a similar extractor-based load indicator are allowed. BELLEVUE, WA – The Second Amendment Foundation, joined by Commonwealth Second Amendment, Inc., two commercial dealers and six private citizens, filed a lawsuit today in federal court in Massachusetts, seeking an injunction against the State Attorney General’s enforcement of state consumer protection regulations that prevent the commercial sale of certain semiautomatic handguns. The lawsuit, filed in U.S. District Court, asserts that the regulation requiring a “load indicator” on a semiautomatic handgun is “unconstitutionally vague and ambiguous” because it does not define what this device is, or what it is intended to do. SAF General Counsel Miko Tempski, coincidentally a Glock factory certified armorer, added, “Our individual plaintiffs want to buy Glock pistols and our retail plaintiffs would be delighted to sell the firearms, but the regulation is being enforced by Attorney General Martha Coakley with no real foundation, because there are no specifics about the device in the regulation. Essentially, it appears the enforcement is pretty much on a whim. Adding to the dilemma, according to the lawsuit, is the fact that the 3rd and 4th generation Glock pistols at the center of the dispute have an extractor-based load indicator that reveals at a glance whether there is a cartridge in the chamber. This is virtually identical to extractor-based load indicators on competing pistols from other manufacturers, all of which are legal in Massachusetts. “We’re hopeful that we can get this resolved rather quickly because the way the regulation is currently being enforced makes absolutely no sense at all,” Gottlieb stated. The case is Draper et al v. Coakley. The complaint can be found here. More about the case can be found on the Comm 2A website. Aaron at The Weapon Blog is his usual efficient self and has compiled this month's list of firearm and outdoor related giveaways. You can find it here. In the handgun category, you will find a number of Berettas, Swiss-made Sphinx pistols, a Boberg, and a Ruger Commander-sized 1911 among the items. The rifle category has its usual assortment of AR-15/M-4s, the newish Ruger 762, an IWI Tavor, and the Barrett 99. You will also find a ton of stuff in the Accessories or miscellaneous category ranging from cleaning accessories to a Zombie Factor Bug Out Bag to a Parker compound bow. If you enter any of these contests, take a moment and leave a thank you to Aaron in the comments section. Compiling such a list takes some time and I really appreciate the work he has done. Shannon Watts of Everytown Moms for Illegal Mayors is trying to make a big deal out of the salary received by the NRA's Wayne LaPierre. She posted a tweet on Saturday asserting that Wayne made the big bucks while she, in an attempt at gun control sainthood, had zero salary. She may be correct in her assertion that she receives no salary. That doesn't mean she is not compensated for her efforts to infringe on our Second Amendment rights.There are many ways to be compensated for your work that isn't salary. For example, if you look at the Form 990 for Mayor Bloomberg's Illegal Mayors for both 2011 and 2012 you won't find any salary payments to then-Executive Director Mark Glaze or a listing of him under their highly compensated employees. However, you will find payments of $210,000 and $220,000 respectively to The Raben Group which was his long-time employer. Mr. Glaze was certainly compensated but it wasn't with "salary" from Bloomberg. Likewise, I think if you search long enough or when we finally get the 2014 Form 990 for Everytown Moms for Illegal Mayors you will find substantial payments to an outside consulting group. Further investigation will probably show some sort of affiliation with Shannon Watts. Of course, Shannon Watts could be the 21st Century's version of Joan of Arc but for gun control instead of France. She could be doing this all out of altruistic sense of duty. I don't believe that for a minute and I doubt any one reading this would either. She and her husband John may be "one-percenters" but they never have seemed to be the sort to do anything for free. There is some very valid speculation that one of the reasons that Moms Demand Action merged with MAIG was to avoid having to file a Form 990 for 2013. The merger took place in December 2013 so their finances would be subsumed under that of MAIG. Of course, this assumes that MDA received their 501(c)3 determination letter from the IRS and would be required to file the form. As I said earlier, there are many ways to be compensated for your efforts monetarily that don't appear as salary. While Shannon Watts may be correct that she doesn't receive a salary (and that is iffy given her track record with the truth), she is getting compensated for her efforts one way or another. Balanced Report On Open Carry In Texas....From NPR? When the Complementary Spouse got home from work yesterday, she told she had just listened to a report on open carry in Texas that was rather balanced. The report was on NPR's All Things Considered afternoon news show. After I listened to it, I agreed. The report by John Burnett interviewed Cory Watkins of Open Carry Tarrant County, C.J. Grisham of OCT, Stephanie Lundy of Everytown Moms for Illegal Mayors, and Alice Tripp of the Texas State Rifle Association. Alice Tripp made the point that open carry of ARs and AKs in restaurants was not helping get open carry of handguns passed in the Texas legislature. She is quoted as saying, "It's not helpful. It's not good manners. It's not thoughtful. It's not conducive to facilitating the legislative process." The report was balanced enough to note that both Republican Greg Abbott and Democrat Wendy Davis were in support of allowing Texans to open carry handguns. Coming from NPR, who woulda thunk it? You can listen to the whole report at this link. I had tried to embed it but it just wouldn't work. 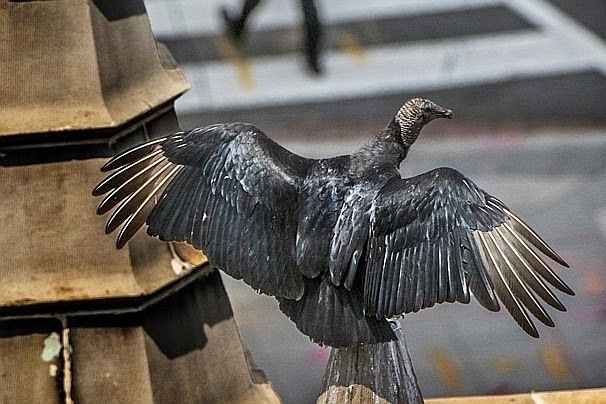 Saying that there are vultures in Washington, DC wouldn't surprise anyone. Saying that they are the actual avian vultures would especially since they've made their home, appropriately enough, on lobbyist-infested K-Street. Bird experts speculate that this is a breeding pair of black vultures staking out a new territory and feeding ground. The urban dwellers of DC seem to be fascinated by the pair. But two vultures in the city are less of an annoyance and more a source of wonder. Described as the “garbage men of nature,” the birds often are seen hunched over roadkill on country roads, but Dupuy said it’s possible they could be living off dead squirrels and other city animals. Unlike hawks that find their food by seeing it, he said vultures use their sense of smell, following the scent of decay to its source (cue the “House of Cards” references). I think the DHS employee may be on something given the way President Obama throws his appointees under the bus on a regular basis. It could also be that the vultures are staking out a new feeding ground in anticipation of the November elections. If they go the way I'd like to see and that the polls seem to indicate that they are trending, there will be plenty of carcasses coming from the majority side of the US Senate for these vultures to feast on in a metaphorical sense. If Speaker of the NC House Thom Tillis doesn't blow it, the accidental career of Sen. Kay Hagan (D-NC) will be one of them. By this time on June 6, 19944, Allied troops had established a beachhead on all five invasion beaches. I came across an interesting photo essay contrasting Normandy in 1944 and now. It used pictures taken by combat photographers in June 1944 and then went back to today's Normandy to find the same exact locations. A lot has changed in the last 70 years but so much of the countryside and buildings remain the same. Here are couple to give an idea of the essay. 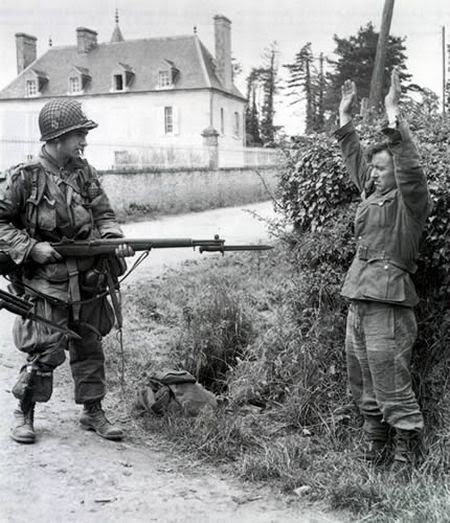 The first picture shows a US paratrooper with a German prisoner of war. And now that same location today. 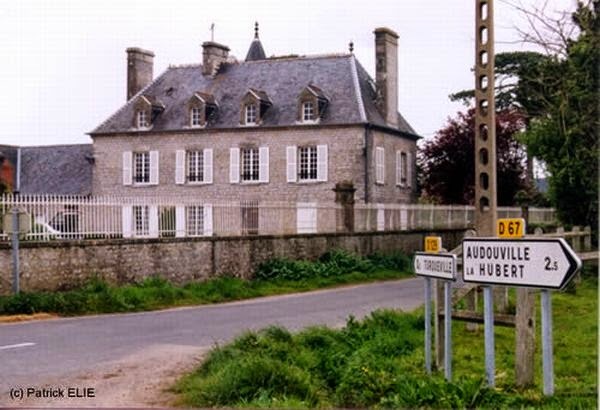 As I said, so much of Normandy remains the same. Other than a repaired dormer window, a paved road, and some different vegetation, it looks the same as it did in 1944. You also have to wonder about the two soldiers pictured, American and German. Did they make it through the war and are they alive today? Photographer Patrick Elie certainly had to do some research for this photo essay. The whole set of 204 pictures can be found here. Having a place to shoot is one of the critical items facing the gun culture. With increasing urban and suburban development, it is getting harder and harder to find a place to shoot. Many states' fish and game commissions are working to fill the void and the North Carolina Wildlife Resources Commission is no exception. On the heels of rehabbing a closed shooting range in the Uwharrie National Forest and partnering with the NRA and county officials in Cleveland County on another, comes the announcement that they are seeking to open a new range in Burke County. This range will be in the Pisgah National Forest. 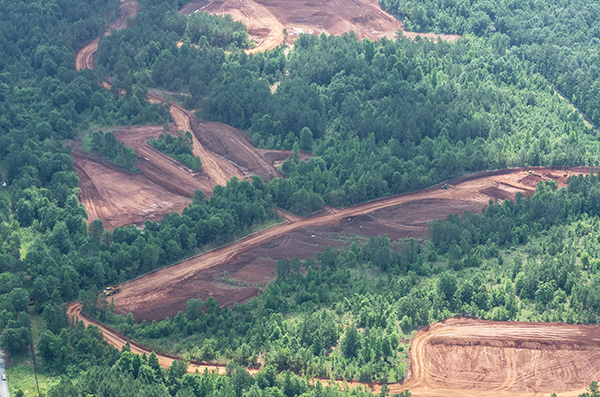 MARION, NC - The N.C. Wildlife Resources Commission will hold an informational meeting on June 19 to discuss constructing a shooting range on the Linville Tract of the Pisgah Game Land in Burke County. The meeting, which is scheduled from 6:30-8:30 p.m., will be held in Rm. 104 at McDowell Technical Community College, located at 54 College Drive in Marion. The proposed range will be located near the intersection of N.C. 126 and Wolf Pit Road, north of Lake James, in Burke County. It will include a 25-yard pistol range and a 100-yard rifle range. The proposed range is part of an initiative by the Wildlife Commission to develop and enhance public shooting facilities across the state. The Commission recently partnered with the U.S. Forest Service to renovate and improve the Flintlock Valley Shooting Range in Uwharrie National Forest in Montgomery County. If my numbers are correct, this would make the third fourth outdoor shooting range managed by the Wildlife Resources Commission. The rest of that song by Stealers Wheel goes "here I am stuck in the middle with you." That is how I'm feeling about the whole open carry fiasco in Texas. I doubt that there are many readers of this blog that don't support the extension of open carry in Texas to include handguns. Many states including my own North Carolina have unlicensed open carry. What is incredibly frustrating is watching Shannon Watts and her fellow gun prohibitionists at Everytown Moms for Illegal Mayors making hay out of the bumbling ineptitude of groups like Open Carry Texas. Sonic, Chipotle, and god knows who's next have issued "Starbucks-style" statement asking the open carry activists to leave them out of the argument. Sebastian at Shall Not Be Questioned has done yeoman's work in examining the folly of their actions. You can read some of those posts here, here, and here. There are more. As a result of these hijinx, two popular fast food outlets have recently requested patrons to keep guns off the premises (more information can be found here and here). In other words, the freedom and goodwill these businesses had previously extended to gun owners has been curtailed because of the actions of an attention-hungry few who thought only of themselves and not of those who might be affected by their behavior. To state the obvious, that's counterproductive for the gun owning community. More to the point, it's just not neighborly, which is out of character for the big-hearted residents of Texas. Using guns merely to draw attention to yourself in public not only defies common sense, it shows a lack of consideration and manners. That's not the Texas way. And that's certainly not the NRA way. Chris Cox of the NRA-ILA backed away from that statement yesterday saying it was the personal opinion of some unnamed staffer and not the NRA's official position. He apologized for any confusion it caused. Others such as Charles Cooke of National Review disagreed saying that it was what needed to be said. I think I and the majority of the gun blogging and gun podcast community would agree that it needed to said. Bob Owens had an interesting observation on this at BearingArms.com. He noted that often in cases like this where a statement is retracted that it is the original statement which reflects the internal thinking of the organization. In other words, it was what we called back in my political science days "signalling". As Michael Bane emphasized today in his Downrange Radio podcast, our goal in the gun rights community needs to be winning. We no more win hearts and minds with these open carry demonstrations in restaurants than the US Air Force did with carpet bombing in South Vietnam. I would send a copy of Dale Carnegie's How to Win Friends and Influence People to everyone in the Texas open carry leadership if I could. I can't, so in the meantime I will implore them to cut out the narcissistic displays, clean up their websites and Facebook pages, and, as Michael suggested, think before you do stupid. Those of us stuck in the middle would appreciate it.